Hotwireless Hotspot Billing Software is second to none in the industry and is used by many hotels and guest houses across South Africa. We provide highly customised reporting for customers using our hotspot billing software allowing you to see where this lucrative revenue stream is benefiting your business. 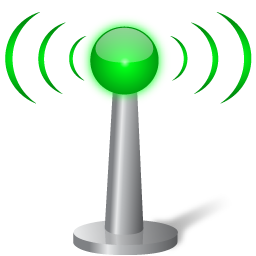 We are the South African distributors Hotspot Systems for the worlds leading hotspot providers. Contact Hotwireless today and arrange a free trial of our Hotspot Billing Software. Trust the specialists. i have been online in search for a solution like your for a while now but havent seen any. i would like to know how it works and would like to see a demo if available. i am very interested and am presently working on an estate wide wifi network in abuja Nigeria and would need it urgently. i live in Nigeria, i want to know the current price of your hotspot billing software and how i can get one here in Nigeria. Thanks. The billing software resides on an access point so no computer or server is required to manage the hotspot. The monthly cost is R499 x 24 months for 1 x access point. The once off cost of a pre-configured (to meet your specifications) access point is R2500, which we can pre-configure and courier to you. I want to serup a hotspot in a block of 100 flats in pretoria. Occupants mainly students that will have to pay for the use. How do i go with it? I am thinking to start wit access for about 50 customers and later expanding it to about 300? Can u help wit estimated costs for startup und also running costs. Please i need a wireless timer ASAP.